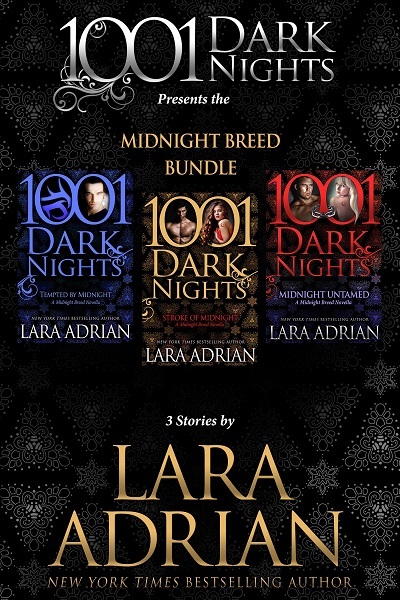 For the first time ever, all three of the Midnight Breed novellas from the 1001 Dark Nights collection are available in one bargain-priced bundle! This $4.99 eBook boxed set includes Tempted by Midnight, Stroke of Midnight, and Midnight Untamed. Available at all retailers for a limited time.